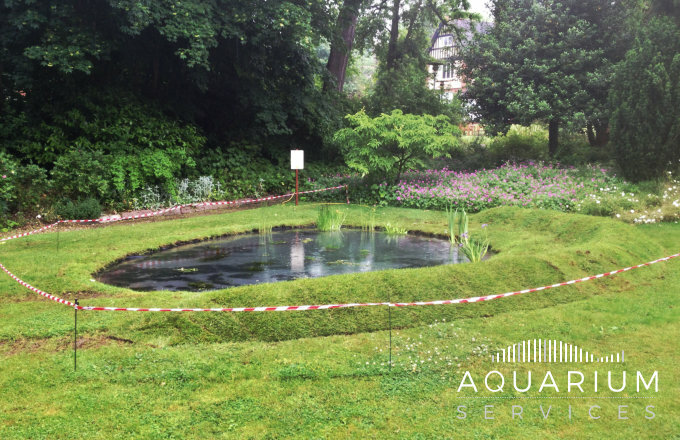 In addition to aquariums, we provide a comprehensive range of pond services, including pond design, installation and maintenance. 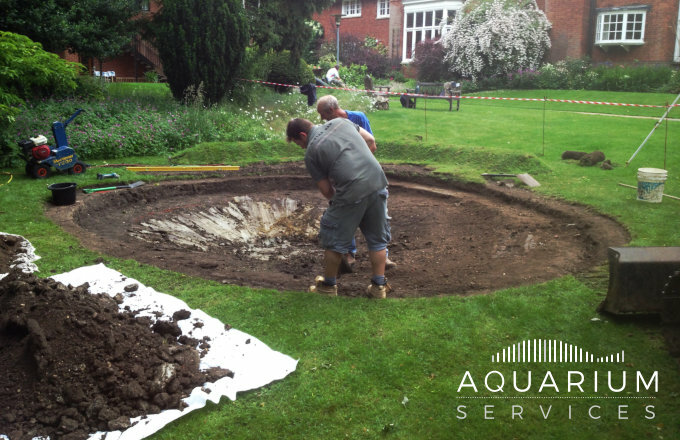 Most ponds need some servicing at least once a year, and we offer a range of options depending on your specific needs. We also provide other options than those listed below, so if there are any services you require that you cannot see, please contact us to discuss your requirements. 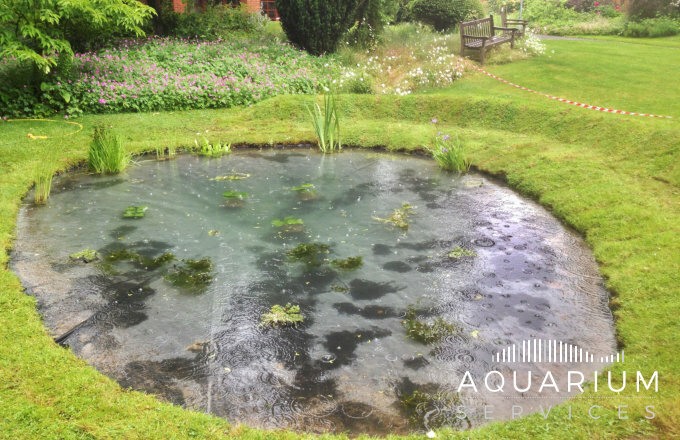 We carry out full maintenance on ponds including complete drain out, whilst keeping your fish in our own transportable vats, cleaning out of all muck and debris, pressure washing and checking for (and repairing) leaks if required. Also, we will also clean and service your existing filter system. 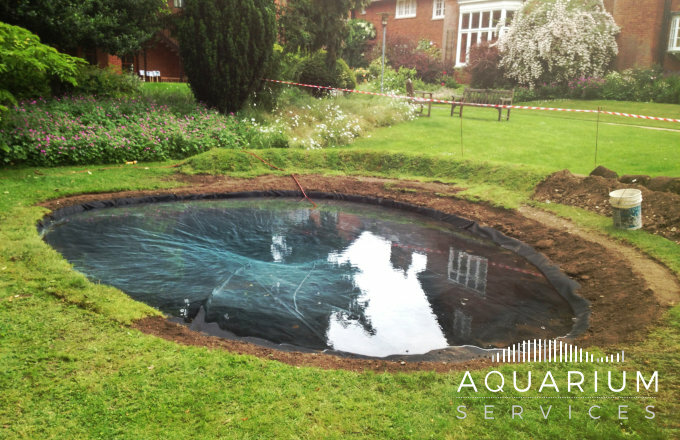 If you require new parts for your pond system then we also supply and fit a wide range of replacement liners, filters, pumps, UV’s and more. 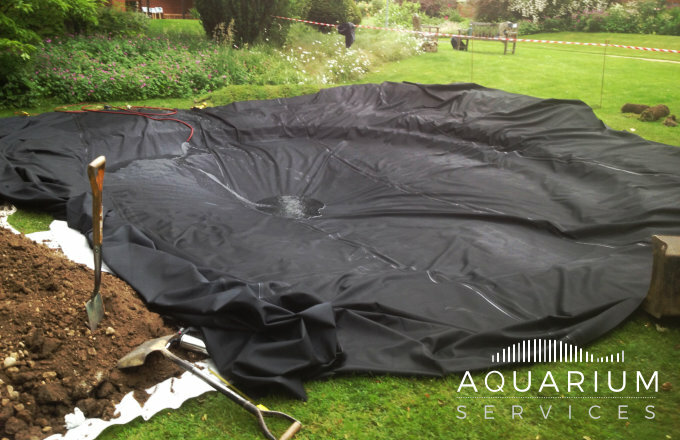 We supply and fit Gordon Low EPDM pond liners, these are the best quality liners available and are of a higher quality than standard pvc liners. These pond liners can be custom cut to any size. Underneath the liners we use Gordon Low heavy duty underlay which in our long experience is the optimum way to protect the underside of your liner for many years to come. 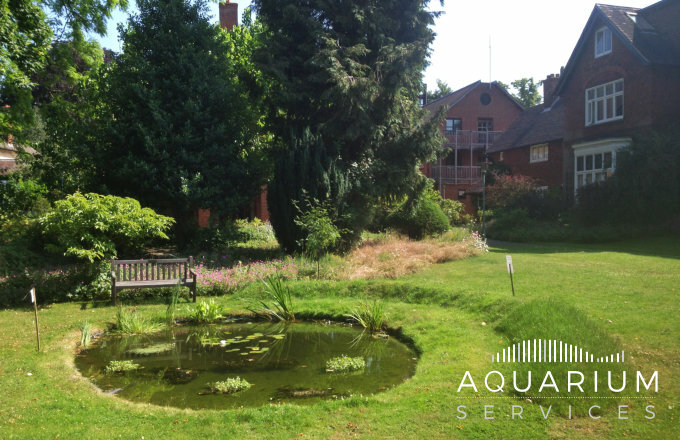 If your pond is in need of a serious overhaul, we offer a comprehensive pond restoration service. Each restoration project is different so please get in touch to discuss yours or to arrange a site visit. Below are examples of recent pond restoration projects. 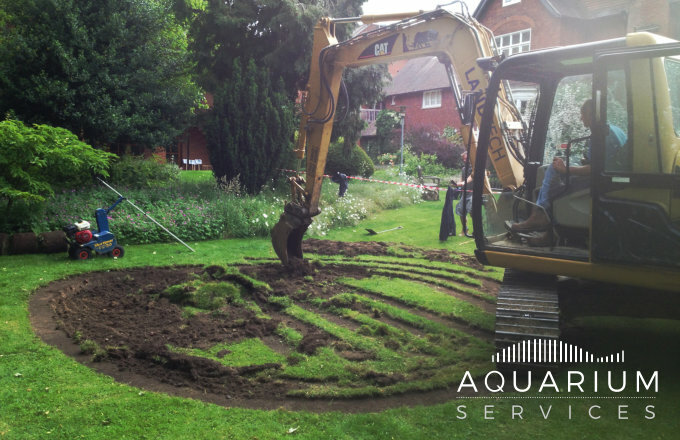 We were asked by the Dean of Lucy Cavendish College, Cambridge University to dig a wildlife pond on one of their lawns. 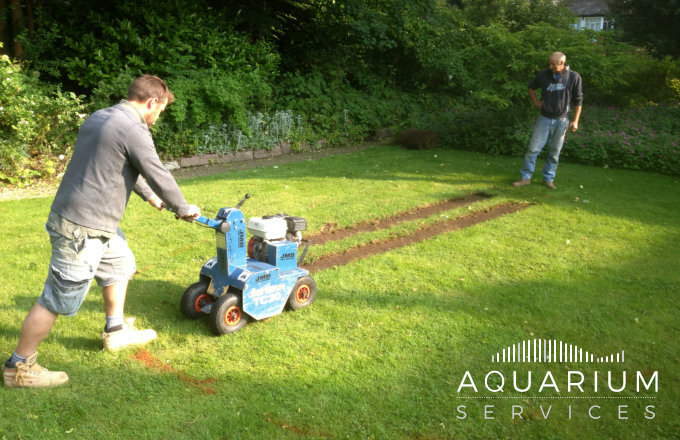 Once the turf was removed we dug a sloping pond to a maximum of 1 metre deep, using a laser level to ensure that all edges were level. We used a heavy duty underlay to protect the EPDM liner which was fitted and filled on the same day. 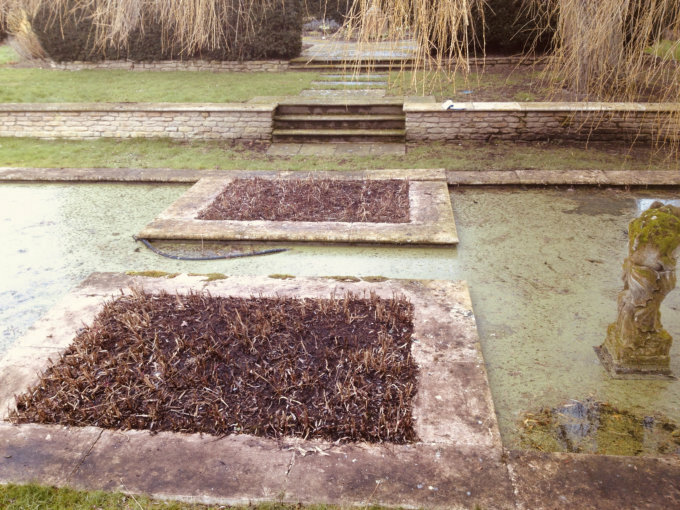 Finishing touches were to replace the turf around the new pond and stock it with aquatic plants. 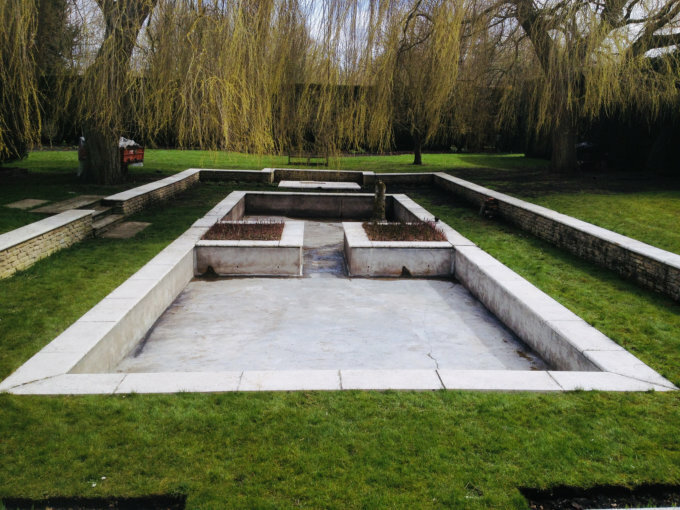 Our services were required for a formal pond restoration in the grounds of a 16th century hall. 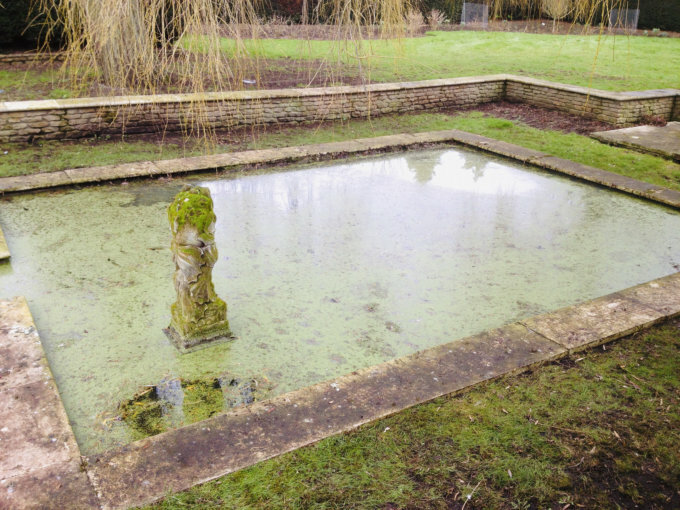 The concrete pond had been leaking for some years and was in dire need of attention. The initial draining of the pond took 2 days as there was a lot of tree debris mixed in with the water. A full inspection followed and a number of cracks were found in the concrete, in addition the concrete had become very porous. 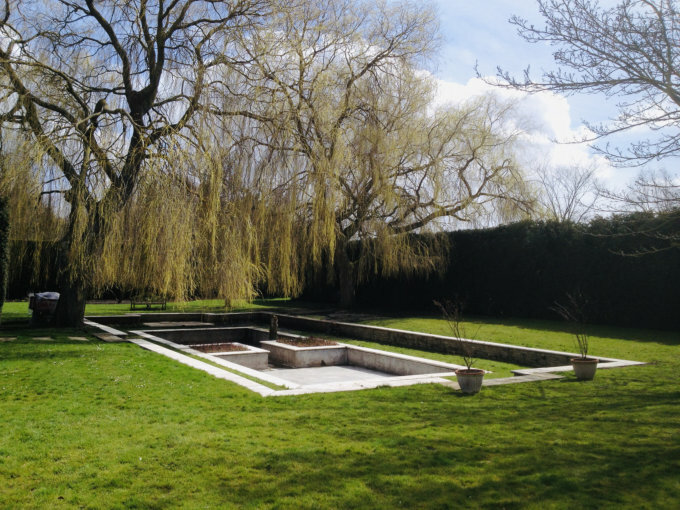 The cracks were filled with concrete and a specialist treatment, once the entire pond had been dried out it was then painted with 3 coats of G4, a deep bond coating which will have sealed the concrete for many years to come. The pond was refilled some days later and is now back to perfect health. A safe and clean way to get very close to a pond without getting muddy or risking tripping. A comfortable surface on which to sit or lie and interact with your fish particularly during feeding time. If overhanging it can create a safe haven for fish to hide from predators such as heron, it also gives them shade during the summer and protection from extreme cold during winter.